The latest trailer for Star Wars: Rogue One has dropped and it looks like things are about to get pretty dark in a galaxy far, far away. 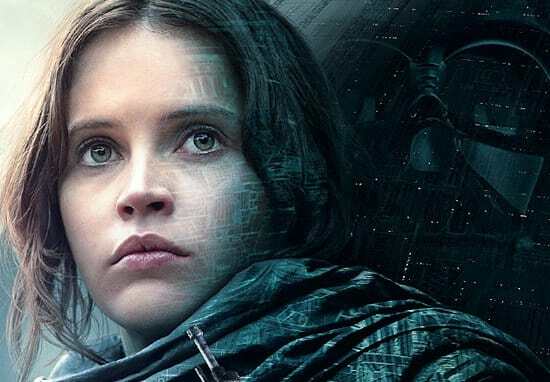 Rogue One will tell the story of Jyn Erso (Felicity Jones) and a group of plucky rebels as they try and steal the plans to the Empire’s newest super weapon, the planet destroying Death Star. Directed by Gareth Edwards (Godzilla, Monsters) Rogue One will bridge the gaps between Episode III and Episode IV and is supposedly a far darker tale than any film we’ve seen before. If the trailers have been anything to go by then he’s not wrong. 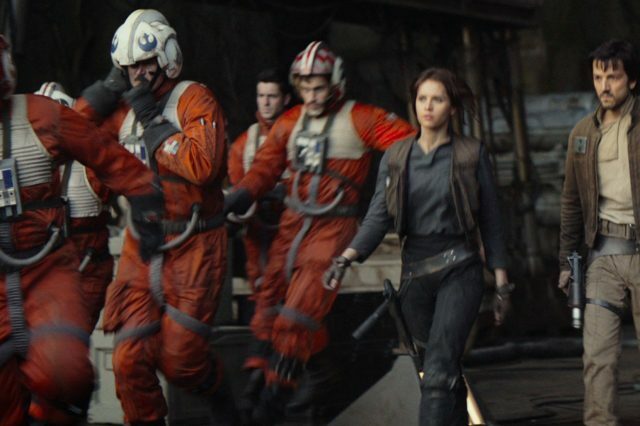 Each trailer has highlighted the effects the titular ‘Star Wars’ are having on the galaxy and its citizens. While there won’t be any Jedi in the film. the Dark Side will be making an appearance in the form of the Emperor’s number one lapdog Anakin Skywalker – better known as Darth Vader. Despite the film looking amazing there are some naysayers in the film world who are worried about Rogue One. The film was forced to undergo reshoots earlier this year amid speculation that Disney execs weren’t pleased with the tone of the film. Director Gareth Edwards has done his best to assuage fears that Rogue One won’t live up to J.J. Abram’s Episode VII, however, explaining that reshoots are just par for the course on blockbusters of this size. Rogue One opens across the UK on December 16, 2016.